Yes, May was a busy month with graduations, reunions and out of town guests. June finds me back at the loom, this time weaving something from my not too long ago past. It’s been awhile since I have woven a rag rug. When my son went to college, I wove one for him, and now it’s my daughter’s turn. She and I like to visit thrift shops and look for nostalgia items or clothing that can be recycled. I often buy used jeans at these shops so I can cut out the pockets. 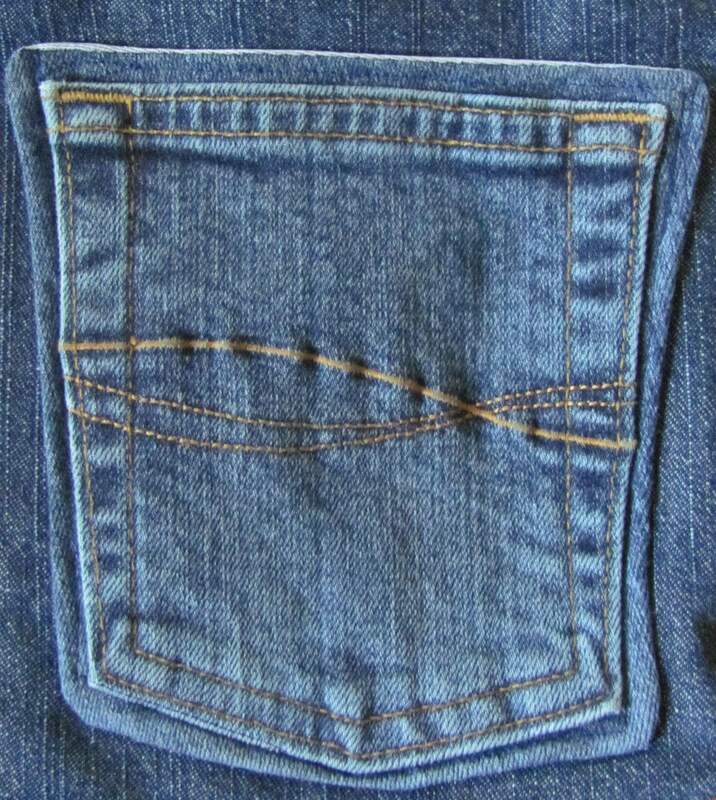 I make a sort of patch from the jeans’ pocket and then sew it onto denim fabric which I use to line the purses that I weave. 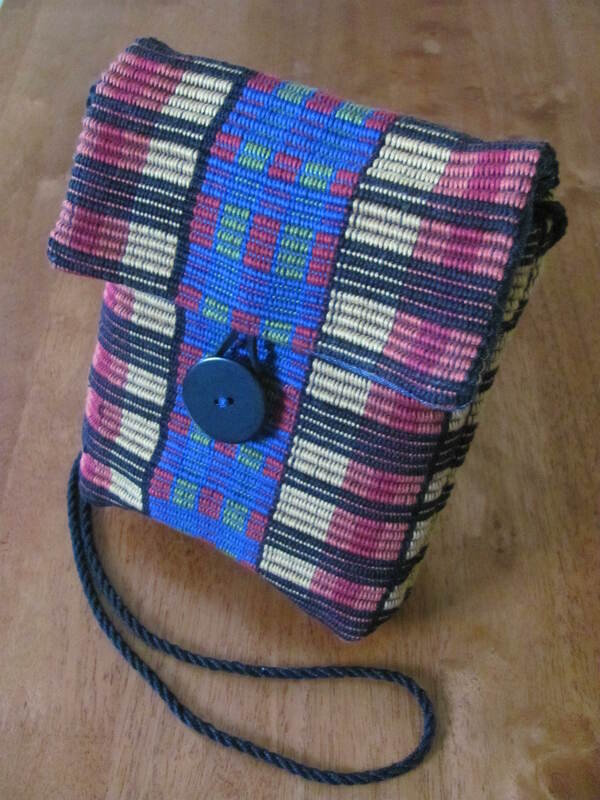 This lining is from a small rep weave messenger bag that I recently completed. And this is the rug once finished that will go with my daughter to Chicago where as it happens is also the home of my son’s rep weave rug. 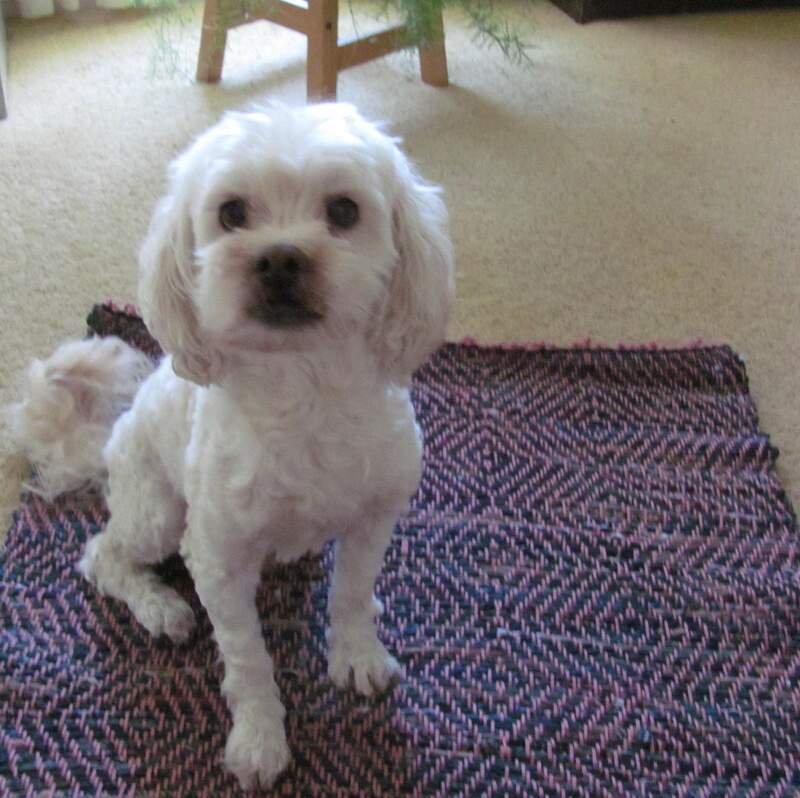 Here is another rag rug that I wove some time ago. 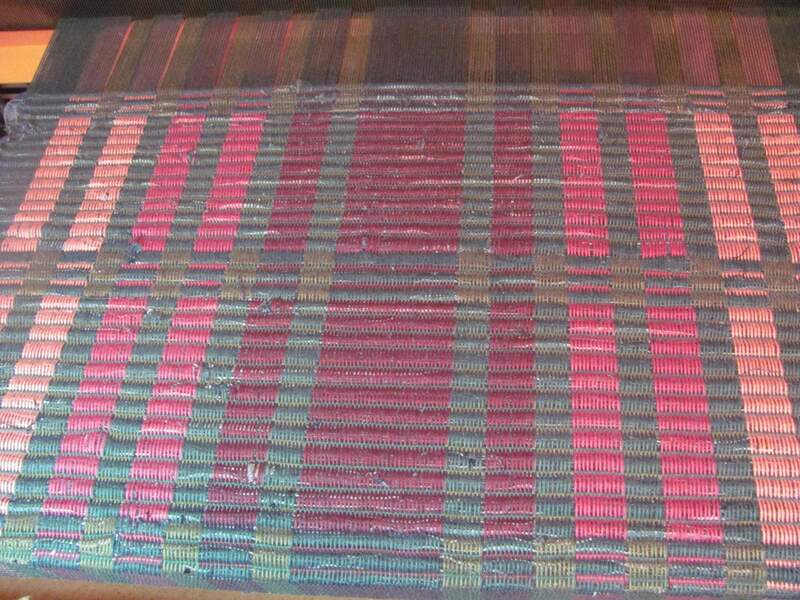 This one is woven in a point return twill or goose eye pattern. Lucky seems to favor this one. Playtime is over, and I am done with weaving with thick weft yarns for awhile. I miss working with fine, smooth and silky yarns. The kind that is soft and that drapes beautifully. Here is another project just completed where I wove two layers of fabric at the same time in a technique known as doubleweave. 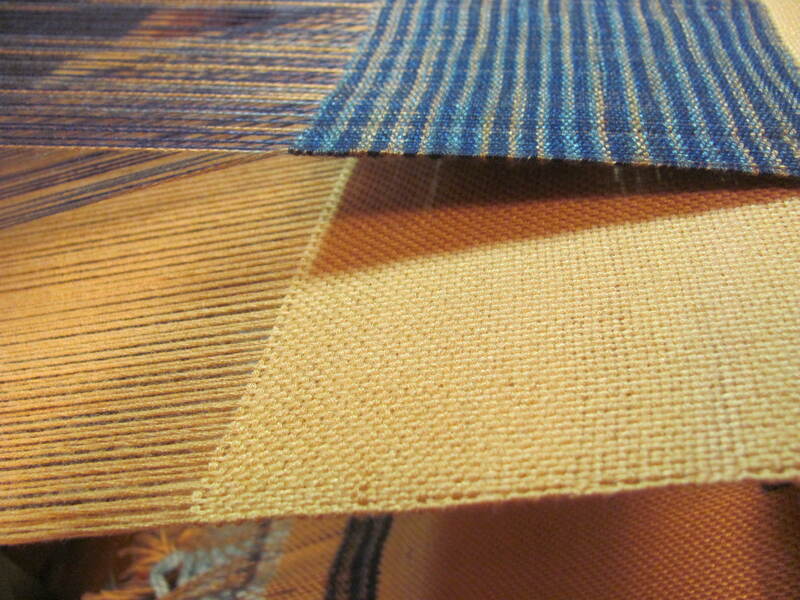 The fabric on the bottom is bamboo yarn and the fabric on the top layer is a variegated tencel yarn. 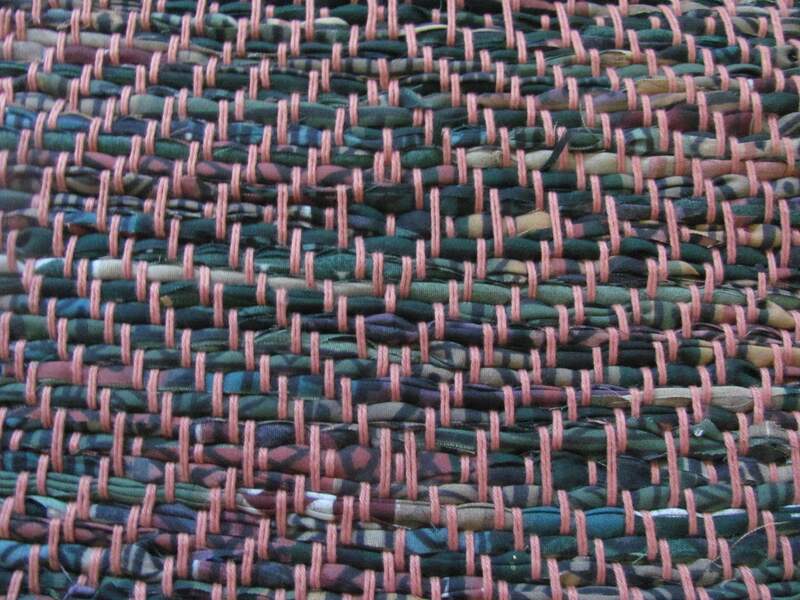 Both rep weave and doubleweave are slow patterns to weave. In fact there’s nothing fast about any kind weaving. But for me, I believe my future holds the promise of working with finer, smoother and more elegant yarns.